Sparkling water and soda are two common names used to refer to carbonated drinks. Soda is an extremely popular beverage, and some people just cannot live without it. What they do not know is that overconsumption of soda can cause several digestive problems. If you experience any pain in stomach after drinking soda, it means that it has already caused some damage. Let's find out more about it. Soda and other carbonated beverages contain gas, distilled water, additives and sugar, so overconsumption can lead to bloating, cramps, and stomach pain. One of the common issues associated with carbonated beverages is that they increase gas production. Several gases are released when your body digests what you eat, but soda and carbonated beverages can increase the production of gas and even make it difficult to expel it out of your system. It can cause abdominal discomfort, bloating, and pain. It is important to understand that you are likely to swallow more air while drinking soda, which increases the amount of air in your digestive tract. This buildup of gas can cause a sharp pain in stomach after drinking soda. 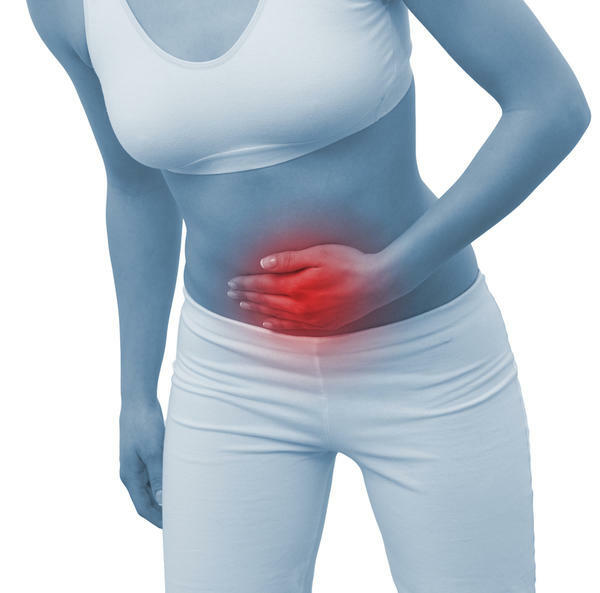 Another common reason of experiencing stomach pain is that soda contains an artificial sweetener called aspartame, which can trigger an allergic reaction in many people. This can lead to problems like nausea, cramps, diarrhea, vomiting, and stomach pain. The highly acidic nature of soda is another reason why you may experience stomach pain after drinking this carbonated beverage. The characteristic sour taste of soda is mainly due to the acids found in it. When you drink too much, the increased level of these acids interferes with the absorption of minerals and vitamins. This can lower levels of magnesium in your body, which is the primary reason behind abdominal cramps. If you feel pain in the upper right abdominal region, you may be suffering from heartburn. Carbonated beverages, including soda can aggravate your condition. Other foods and beverages can also put you at an increased risk of developing heartburn – alcohol, caffeine, coffee, tomato products, citrus fruits, spicy foods, and fatty foods are some common examples. Be sure to talk to your doctor if you experience heartburn or chest pain more than twice a week. If you have irritable bowel syndrome (IBS), drinking soda is only going to make matters worse. IBS refers to irregular movements in the colon that can make you deal with diarrhea or constipation. If you are suffering from IBS, it is important to eliminate soda from your diet or it can cause upper right abdominal pain. 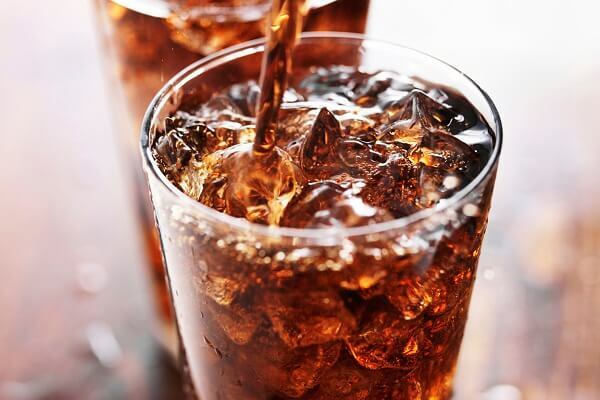 You should eliminate soda from your diet to avoid a sharp pain in stomach after drinking soda, but there are actually many other good reasons to stay away from carbonated beverages. Many studies have noticed a link between increased sugar consumption and cancer. Limiting your intake of sugar can actually help slow tumor growth. Soda and carbonated beverages are laden with sugar and are only going to put you at an increased risk of developing cancer, including throat cancer, breast cancer, and more. You are consuming empty calories when opting for carbonated beverages. It means that excessive intake can lead to obesity. In fact, you will be gaining a pound of weight per month by drinking a single can of soda a day. Many people think that they do not have to worry about the same with diet soda, but that is not true. Artificial sweeteners found in soda can also throw your hormonal system out of balance and cause weight gain. Many studies have found that you expose yourself to an increased risk of liver cirrhosis and other liver complications when you consume too much of carbonated beverages. In fact, drinking soda is like drinking alcohol when it comes to liver damage. Thanks to its high sugar and acid content, soda can damage your teeth and lead to tooth decay. The acidic nature of soda makes it much more dangerous for your teeth than other sugary beverages. Increased consumption of soda and carbonated beverages also increases your risk of kidney stones. It can also lead to chronic kidney disease, which is mainly due to the high phosphoric acid content of soda. You will be at an increased risk of damaging your kidneys if you drink one quart of soda per week. Soda is high in sugar, but it also impairs your body's ability to process sugar. With an increase in the popularity of soda and carbonated beverages, there has been an increase in the number of people diagnosed with type-2 diabetes in the United States. Besides sharp pain in stomach after drinking soda, you may also increase your risk of osteoporosis. If you do not want to weaken your bones, you should avoid soda as much as possible. The presence of phosphoric acid in soda is the reason why it increases your risk of developing osteoporosis. It lowers calcium levels in your blood and weakens your bone. Some experts are of the view that you are likely to develop hypertension if you do not control the intake of soda and carbonated beverage. It leads to a temporary rise in your blood pressure whenever you drink a can of soda, and overtime, it can lead to hypertension. You are more likely to develop heart disease if you are a heavy soda drinker. Overconsumption of soda leads to obesity, elevated blood sugar levels, and elevated blood pressure that are all risk factors for cardiovascular disease. Excessive soda consumption can cause gastrointestinal distress. It happens because the acids in soda can throw stomach acid levels out of balance. You may require acid inhibitors to treat the issue. Many people even develop severe gastric inflammation and require serious treatment. You may experience serious complications when you drink sodas on an empty stomach.